This year, UNMC has an employee participation goal of 50 percent and a monetary goal of $160,000. UNMC employees can pledge online through an efficient, secure system using your UNMC eServ password. On Monday, Nov. 5, employees will receive an e-mail message in their UNMC e-mail accounts. Paper pledge cards will be available to UNMC employees who do not have UNMC e-mail accounts. Campaign pledges, which can be made through UNMC's payroll deduction, are automatically withdrawn beginning in January. A "no-pledge" option is available online for employees who choose not to donate. If you're unable to contribute, you still are encouraged to access the eWay Web site and submit a "no donation" response. A "no donation" response counts toward total employee participation. The United Way supports a variety of human-service program providers across the Omaha/Council Bluffs area. United Way-supported programs build lasting change, creating life-changing opportunities by meeting the basic needs of the area's most vulnerable populations, supporting children during their academic years and helping to prepare young people for productive careers. 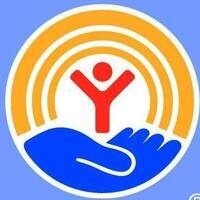 The programs funded by the United Way impact our neighbors. Check out the 2018 United Way Campaign Video here. Employees can give by credit card on the online giving site, as well as through payroll deduction, cash, check, or direct bill. Employees can direct their campaign contributions of $50 or more to any of hundreds of health and human service nonprofit organizations across the Omaha/Council Bluffs area. All those who pledge a minimum of $20 (only $1.67 per month) by 4 p.m. on Nov. 8 will be eligible to win a prize each week of the campaign! Drawings will be held every Friday. Exciting prizes this year include gift cards and Husker football tickets. The earlier you donate the better chance you have at winning. Drawing winners will be notified via email. In addition, you also have the opportunity to donate to the Community Services Fund of Nebraska. This is the third year we are running this campaign alongside the United Way campaign. The CSF’s mission is to connect donors to the causes they care about most. With over 60 non-profit agencies to choose from, you can determine where your money goes.